So, we gave you a glimpse of Ranveer Singh’s absolutely spectacular Switzerland vacation, which he is making us live through his active social media posts. 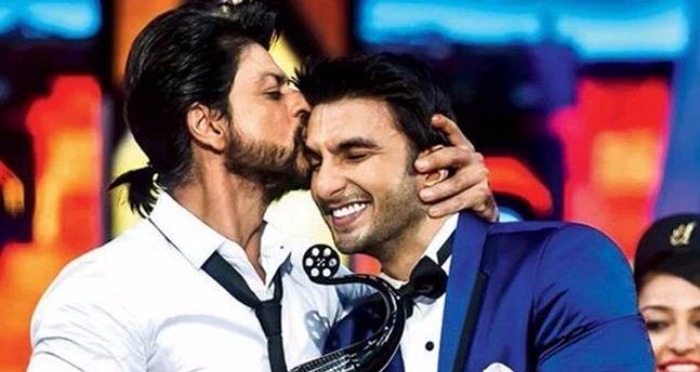 What, however caught our fancy the most, was Ranveer’s rendition of the rendition of ‘Tu Mere Saamne’, from the movie ‘Darr’ by Yash Chopra, featuring Shah Rukh Khan and Juhi Chawla. In the video, we see Ranveer dressed in clothing similar to that of SRK, and recreating the romance in Swiss Alps. If you thought that the super witty Shah Rukh Khan would not respond to such an amazing antic, you are wrong. The King Khan responded, and in oh-so-sassy way, which completely suits his amazing persona. @RanveerOfficial woke up & saw Darr song, thot ‘o wow I can dance’ till I realised it was u my man.Dont know Tujhe dekhoon ke pyaar karoon! Ranveer too, was quick to reply to his idol, and the excitement and exhilaration is just chargig through his tweet. I was trying to feel the Junoon..but all I could feel was the Cold! ? haha! Must say, these two really made the day entertaining. Ranveer Singh’s Switzerland Vacation is Making Us Want to Go Join Him There!